Shree Sampath Plastics Pvt. 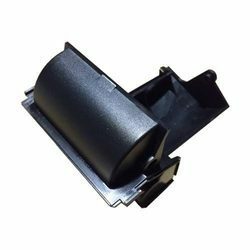 Ltd.
IMPEL manufactures a wide range of injection moulded plastic components for Automotive, Engineering, packaging, Aero space, Medical and other industries. Omnimatrix manufactures Injection Moulded components on a build-to-print model for Automotive, Healthcare, Electrical and Industrial markets. Our horizontal moulding machines range in capacity from 50T to 500T. 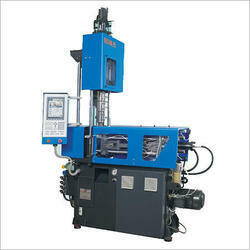 We also have vertical machines which gives us the capability of Insert Moulding for components. We specialize in the manufacture of injection molded high precision components. - Our products have evolved over the years based on our customers expectations; as well as our commitment to high quality injection molding. Since the inception, we've grown steadily, enhancing our reputation in the custom molding industry while our focus has been on "total quality production system"
Our products have evolved over the years based on our customers expectations; as well as our commitment to high quality injection molding. Since inception, we've grown steadily, enhancing our reputation in the custom molding industry while our focus has been on "Total Quality Production System"
Injection molding is identical in equipment and technique to how plastic injection molding takes place. The pelletized feedstock is fed into a machine where it is heated and injected into a mold cavity under high pressure. The part (now termed green) is allowed to cool and then ejected form the mold so the process can repeat. Quad-Press is currently the most complete answer to the growing requirements of concepts like JIT (Just In Time) and SMED (Single Minute Die Exchange) in all advanced manufacturing process to face smaller production batches and wider product ranges, by offering.